Do you have questions regarding homeschooling? Are you looking for a homeschool support group in the Lafayette area? Are you already a member of CHEF and want to know information on our next field trip? Welcome to the Christian Home Educators Fellowship. Here you will find updated info on CHEF of Lafayette events and news, as well as helpful information on homeschooling. To join, go to the Membership tab for additional information and to and download our application. It is our desire to encourage homeschoolers and support those who need it. Whether you are a newcomer or have a few years of experience under your belt, we all need support, encouragement, and resources to help us do the job God has called us to do. Browse through the pages and links to find what you need. View the calendar and latest Newsletter to find out what is happening this month. If you have any questions contact one of us who are happy to assist you. Check out our "Getting Started Guide" - here you will find our suggested guidelines to consider that can help you get your home school off to the right start. Don't forget to browse our "Homeschool Info" page for resources for organizing your education, including the State of Louisiana Home Study Application and information regarding TOPS scholarships. To read news articles and legal updates affecting homeschooling, go to the "Important News" page. The Bible (the 66 Books of the Old and New Testament), only, to be the inspired, infallible, divinely preserved Word of God, the supreme and final authority for all faith and life. That there is only one God, eternally existent in three persons: God the Father, God the Son and God the Holy Spirit. That salvation is the free gift of God given to the sinner by grace and received by personal faith alone in the Lord Jesus Christ, only, Whose substitutionary death on the cross fully paid the penalty for man's sin. That the ministry of the Holy Spirit is to convict mankind; indwell, guide instruct and empower the believer for godly living and service. In the spiritual unity of believers through our common faith in the Lord Jesus Christ, and that individual doctrinal differences which may exist, outside of the aforementioned, should not hinder the unity of Christian home educators. We believe that the family is the basic governmental, social, and spiritual unit created by God. In it, the child learns self-government, social relationships, and develops a relationship to the Creator and Savior, the Lord Jesus Christ, according to John 3:5 and 16, Ephesians 6:1 and Colossians 3:20. The family also provides protection from over-extensive government and over stimulating social involvements. We understand "family" to mean a male and female parent, legally married, with one or more children (Genesis 1:26-28), although we recognize the exceptions of a single parent, adopted, foster, and step children (James 1:27). We reject homosexual marriages or homosexual orientation because it is contrary to Scripture and the intentions of God in creation (Romans 1:18-32), and we believe that such relationships are destructive to children and the very idea of family. Further, we reject transitory, co-habitational relationships as being equally in violation of God's laws and incapable of providing the long-term nurture and instruction needed by children and commanded by God (Proverbs 1:8 and 9, 2:1-11; Colossians 3:21; and Ephesians 6:4) In view of this, no homosexual or merely cohabiting "parents" are eligible for membership within a member Christian home education support group. 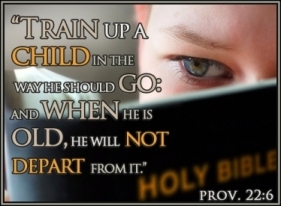 We believe that the ultimate responsibility for the education of children belongs to parents (Deuteronomy 4:9, 6:1-25, and 4:1-4) Thus, we believe this is an inalienable right given by God which the State cannot create, destroy, or alter. Parents may allow another to teach some of the cognitive information that children need to know, but all education must be under the ultimate control and supervision of the parents. We believe education the home to be the best form of education, but we recognize that many parents cannot educate at home for valid reasons and support the right of parents to send their children to private Christian school. We further recognize that because of economic or other reasons, a member parent or guardian may have no other alternative but to place a child in a public school. Although this is acceptable, we do not however, support or condone public schools because of their ostensible, humanistic basis for teaching all subjects. We believe that the religions of secular Humanism and Christianity are mutually exclusive. We believe that all education is religious in nature since one's view of the world and life is inevitably involved in teaching (Proverbs 2:1-8 and 3:1-2, with 6:20-23; and Matthew 28:18-20). Every discipline of knowledge, whether it be a subject such as mathematics, science, or history will have as its final reference point a theistic or, in the alternative, a humanistic view of reality (Colossians 1:15-20 and 2:8-15), and that there is no neutral academic discipline. Christian Home Educators Fellowship of Lafayette is a local homeschool support group of like-minded Christian home educating families. We are here to encourage, support and assist homeschoolers in our area who are endeavoring to educate their children based on the Biblical, Christian conviction. Members enjoy monthly field trips, recreational and sports activities, monthly newsletters, open board meetings and fellowship. Check out our calendar for the latest events. CHEF of Lafayette is part of the state-wide CHEF of Louisiana organization, which provides leadership and keeps local homeschoolers abreast on legal and legislative homeschool issues, both statewide and nationally. CHEF of Louisiana hosts a fine homeschool convention and book fair each year. Look for their link on our Links page. CHEF of Lafayette is a Christian Homeschool Group composed of families. Each family serves as a representative of our Group, the home educating community, and most important, the Lord Christ Jesus. We, the parents, understand that all the officers are volunteers and are volunteering their time, efforts and energies to benefit our children and us. We respect these volunteers as we should be respected when we volunteer. We agree to conduct ourselves in a reasonable manner when participating in all group activities. This includes (but is not limited to) dressing morally appropriate, following instructions, respecting authority, careful treatment of property, polite behavior towards others and no smoking, alcohol, drugs, foul language, or obscene gestures. We understand that failure to comply may result in our being asked to refrain from participation in the field trip or activity. Here you will find the necessary information to join. We sincerely want to help walk with you and your family as we journey down the homeschool education road together. The Board is here is assist you and remain open to any and all suggestions. If you are interested in joining, download and print our Application. Fill out the form and mail it to the address below along with your $40 annual dues. Fellowship with like minded homeschool families. Applications and contact numbers all in one place. 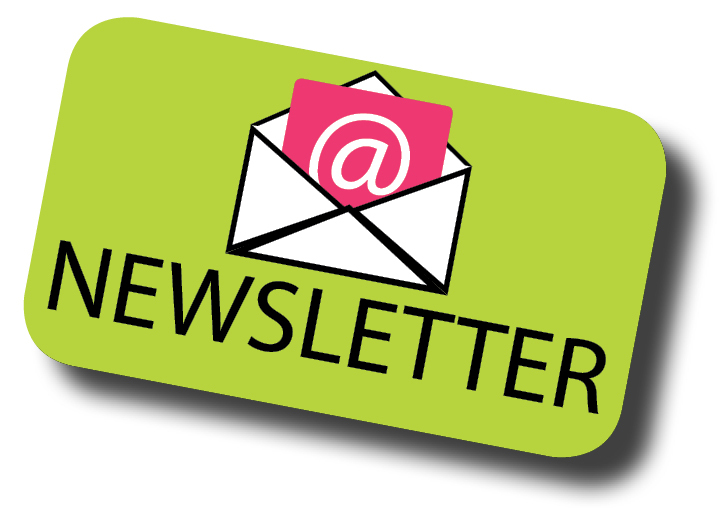 Monthly newsletter with inspiring articles, updates and schedule of events. Discounted ice skating during fall and spring.